A friend asked me to visit a virgin beach during her holiday in Bali. Actually I had no idea, but agreed to that idea and read some travel articles about Bali. Here what I found and visited last week: Bias Tugal beach. Bias Tugal beach is located in Padang Bai, in the eastern side of Bali island. While Padang Bai renowned as a beautiful diving spots, there are two hidden beaches and Bias Tugal is one of them. The beach is hidden by the harbour’s western cliff. But, well, it’s not a virgin beach yet a less crowded beach compared to the developed ones in Southern Bali. I was taking about one hour driving from Denpasar to Bias Tugal beach. It could be two hours from Kuta area. A tip for driving there: prepare for narrow roads and a number of huge trucks heading to the Padang Bai harbour to cross the strait. Anyway, finding this beach was easy, even it was not recorded on Google Map. Go straight to the Padang Bai harbour. Yes, yes, go straight until you find the entrance gate of the harbour and see the welcoming sign on the wall written ‘POLISI MITRA MASYRAKAT’, then take the right turn. Follow the main paved road. It was going to be uphill road until you find a parking officer. I had to pay Rp. 5,000 for the car parking fee. After that, you will find a narrow road with the stone wall, just follow the stone wall until it ended. 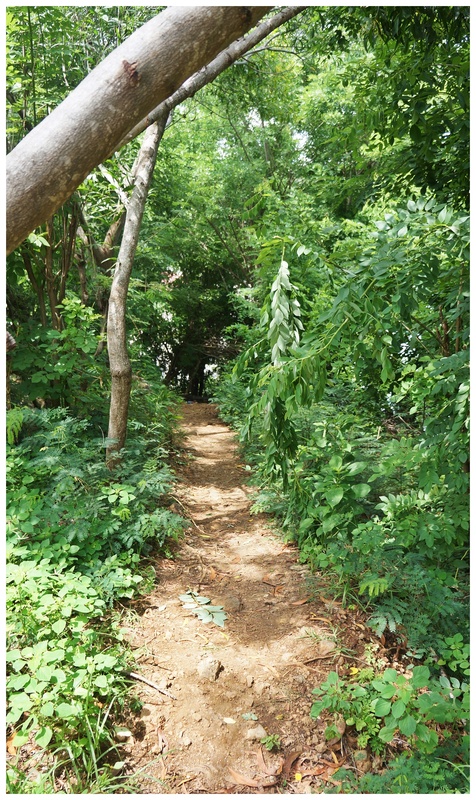 Walk through the small alley, then you have to take the ‘entrance’ in the left, not the small pathways with the trees and ocean view in the right. 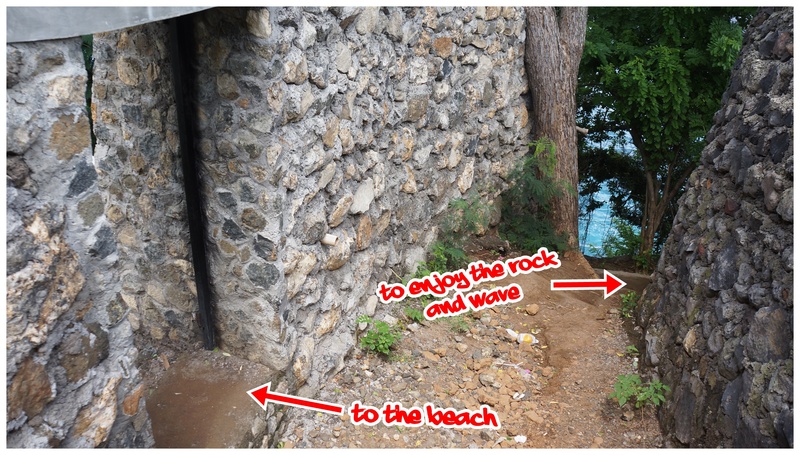 The rest is the 10-15-minute-walking to the beach through the narrow dirty pathways between the trees. It is well worth it while you see the blue of Indian ocean and white sand along Bias Tugal beach. Fyi, seems someone named this spot as ‘Hidden Beach’ on Google Maps. So you can easily find it on Google Map while if you’re around the Padang Bai harbour. Bias Tugal beach is perfect for swimming. The current is calm and save even for the occasional big waves. It is also a children friendly beach. There are some food stalls, so you can get foods and drinks easily. What did I do there? I was reading my book, sleeping, a bit swimming, sleeping (again) and eating. This beach is a perfect getaway from the crowded beach in southern Bali. 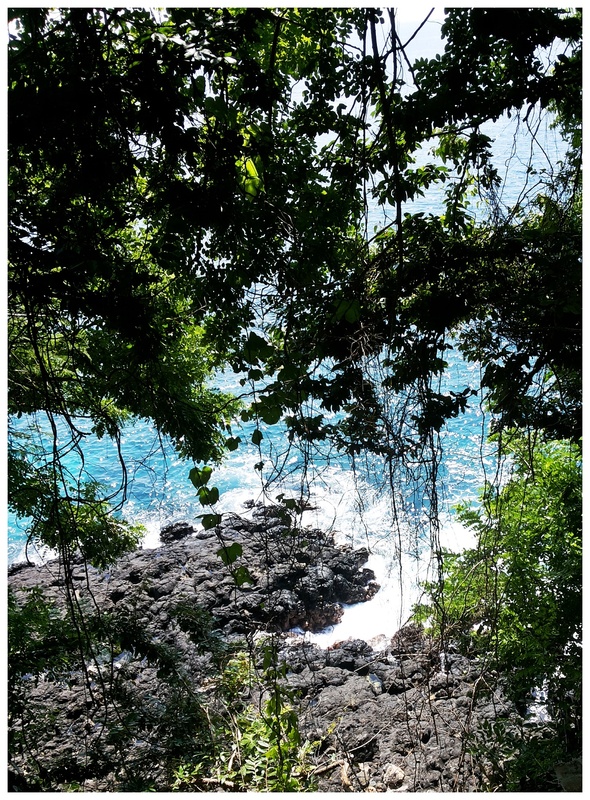 This entry was posted on February 23, 2015 by Edna Tarigan in Bali, Beach, Indonesia, Nature, Tips, Travel and tagged Bali, beach, bias tugal, hidden beach, Indonesia, padang bai, Road trip.